Panasonic to shoot Olympic opening ceremony in 4K ? SOCHI, RUSSIA—Panasonic will record the opening ceremony of the Sochi Winter Olympics in 4K with the cooperation of the International Olympic Committee and Olympic Broadcasting Services. 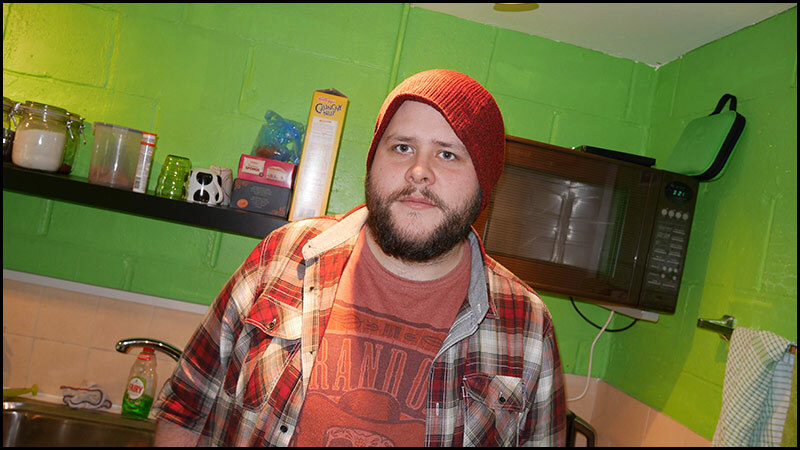 The footage will be used as the company’s own video production materials. 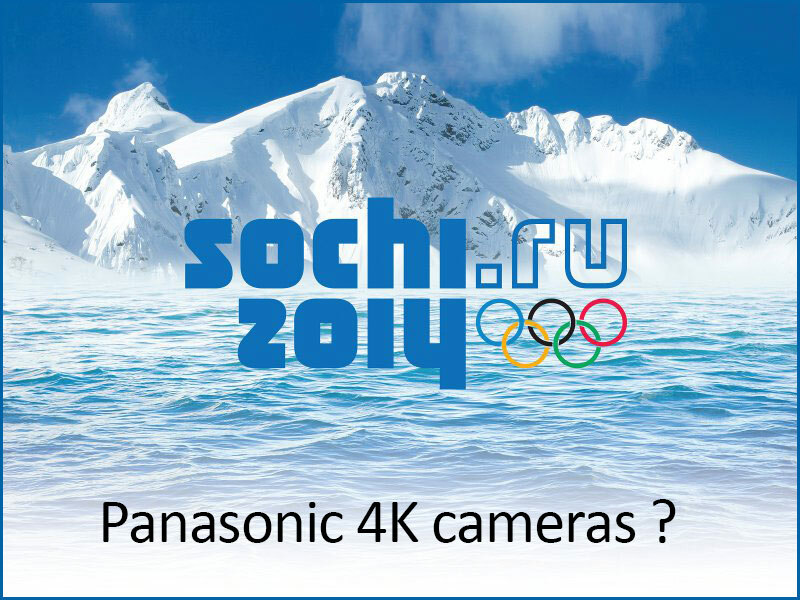 Panasonic has also delivered AV equipment to the 22nd Olympic Winter Games, which take place Feb. 7-23. The company has supplied equipment to the competition venues and the Olympic-related facilities in various product areas, including LED large screen displays, audio systems, broadcasting equipment, projectors, Viera TVs and HD visual communication equipment. Additionally, Panasonic says it has supplied more security cameras to the than for any past Games, and the supply of LED screen displays is the ‘largest ever by area’ in the history of the Winter Olympics. Panasonic will also cooperate with the IOC, Sochi Olympic Organizing Committee and OBS, to provide support during the competition. HDW : Looks like Panasonic have finally developed a 4K camera of some description as seen above but its also very unusual for a camera manufacturer to announce the use of equipment it hasn’t even launched yet. The modular vari-cam seen above has been a concept by Panasonic as far back as IBC 2013 with very little to show other than mock ups. 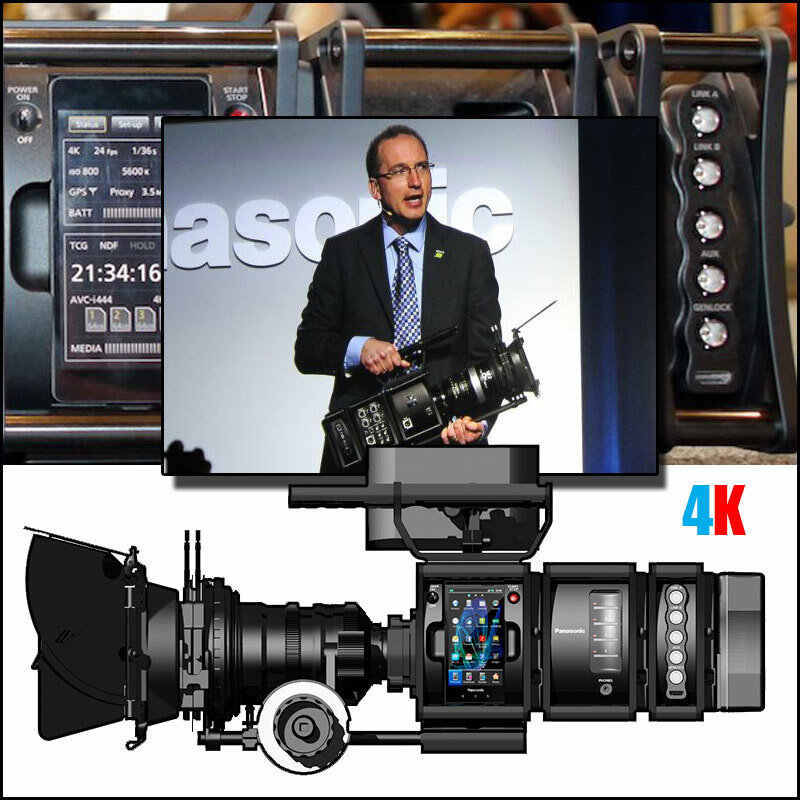 There is far more interest in Panasonic’s 4K GH4’s appearance which has nothing to do with the broadcast section, once again far to much of a gap between the very successful AF101 (2011) and today with the imminent delivery of the new PX270 micro P2 Full HD camcorder. 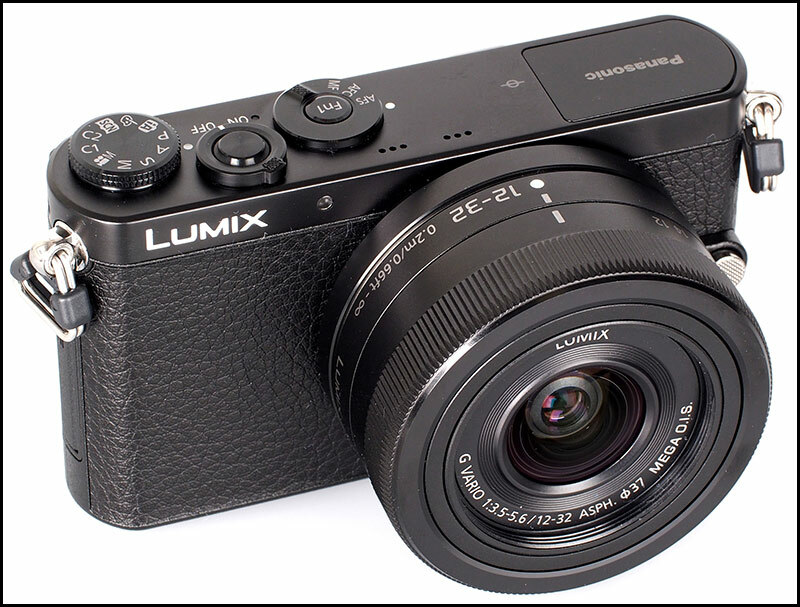 Panasonic should have come out of the starting blocks with the success of the AF101 in 2011 and kept running…The right camera at the right price at the right time. 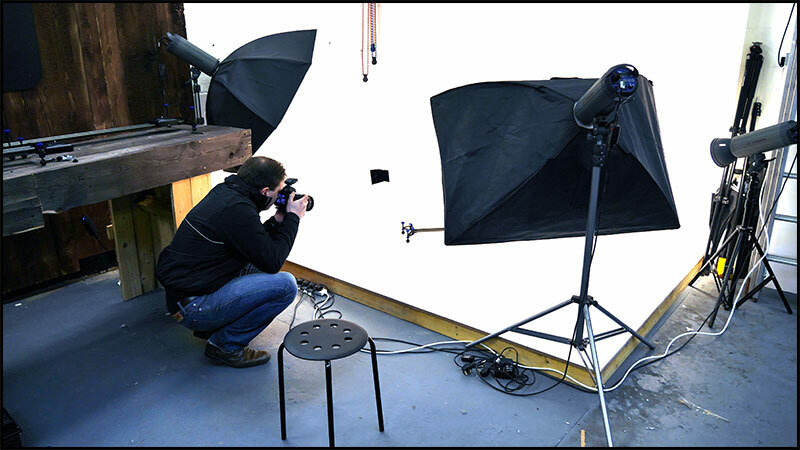 Back to Glidetrack for a morning of catch-up shots from a photography product shoot to office shots. 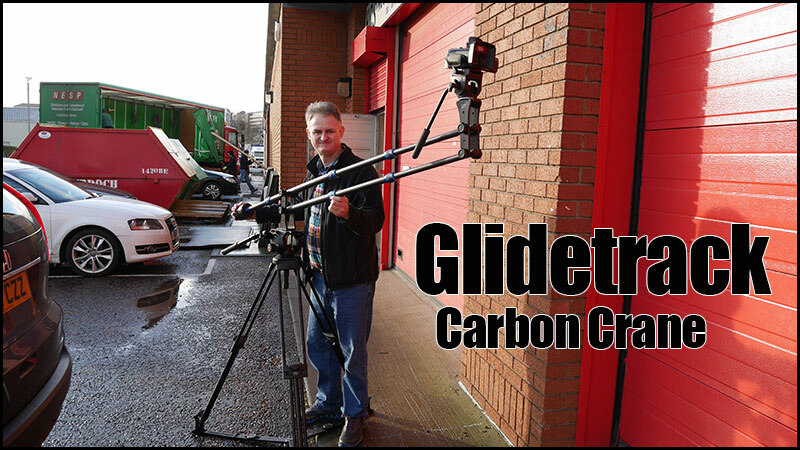 Glidetrack also produce a light weight jib arm for smaller camcorders and DSLRs called the Carbon Crane and I used it to capture a rather tasty entrance shot. I used my Sony NX-30 for this shot, its perfect for an impressive tracking crane shot as it produces a 1920 x 1080 50p picture. In my opinion having a camcorder with a large depth of field helps when you are producing this type of shot. 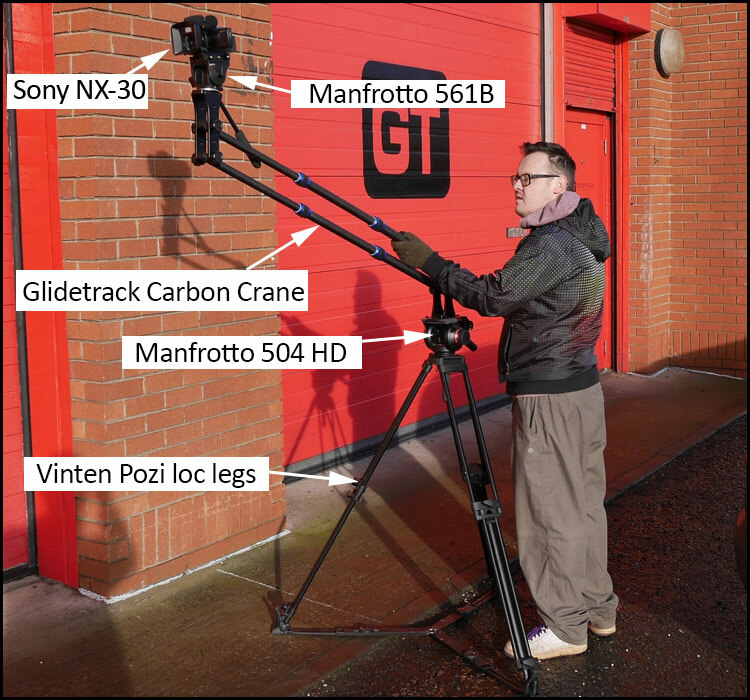 Having a good set of legs helps like the Manfrotto 504HD head and a set of Vinten Posi Loc legs, using a flimsy set of legs leads to wobbly, uncontrolled crane shots. 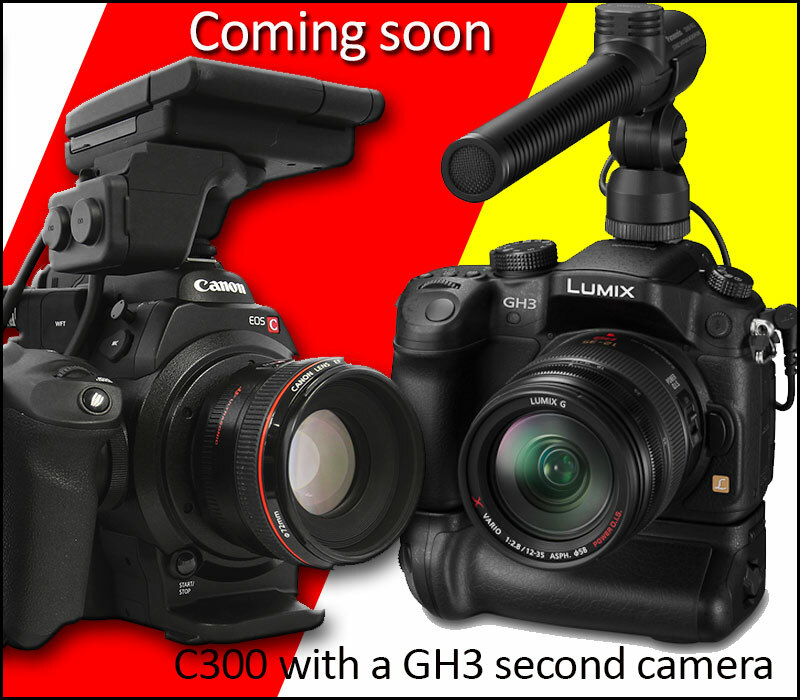 Times are changing and so is the equipment, this time last year I would not have dreamt of using a Lumix GH3 for second camera to a Canon C300 in fact one of the camera manufacturers at IBC 2013 was surprised at my choice of camera…a DSLR rather than a video camcorder. This is the first time I have had a chance to use both cameras in anger and once again the Panasonic GH3 has surpassed itself but more about that later. For the first time in a while I used a RODE lavalier mic to pick up Alastair, the owner of Glidetrack, it almost let me down but I discovered the lead that screws into the mic was faulty but with some gentle persuasion I got the mic working again. 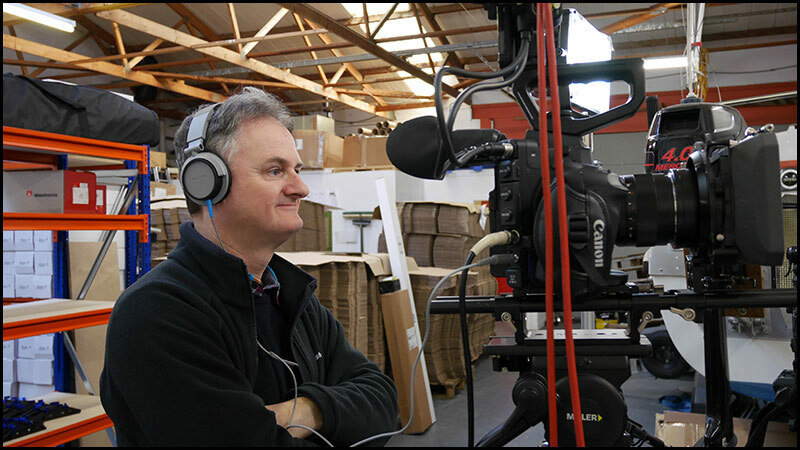 I was on a sennheiser shotgun mic, both mic’s were fed into the C300 while the GH3 had the Lumix gun mic as a sound sync for multicam. All the incidental shots were filmed with the Panasonic GH3 as this is such a versatile camera to run about with, the Canon C300 with rails etc. 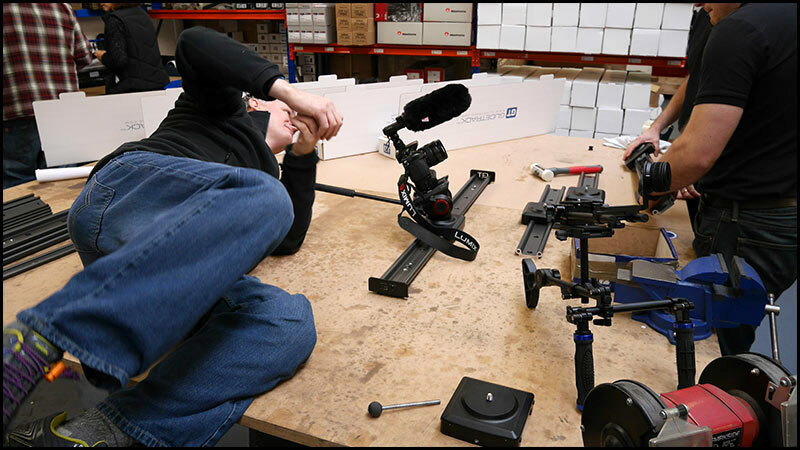 needs to be tripod mounted as its far too cumbersome to hand hold. 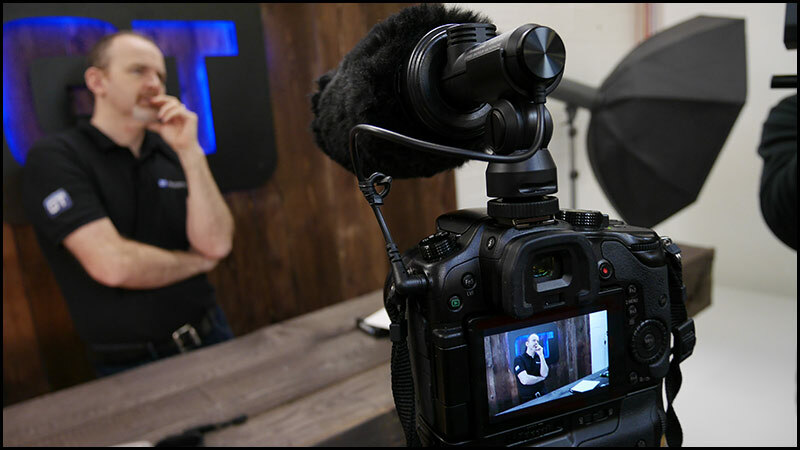 I was going to give you the spiel about the C300 being so much better than the GH3 but I am not going to kid anyone the GH3 is holding its own against the C300, I do hope the GH4 has the XLR attachment as this will convince me to run with GH cameras for most of my shooting. “Why not get rid of the C300” because it still produces very good, quiet cinematic pictures and is built for purpose…XLR’s, HD SDI, easier to pull focus and is the top rented camera of 2013, with so many plus features and bought outright I would be mad to get rid of it. The GH3 is very capable but as a serious sound tool still needs a Tascam DR60D to make it happen and makes the camera tall and bouncy in use. The new Glidetrack carriage literally in the door that day is unbelievable…three weeks ago Alastair gave me an updated carriage to test and I thought it was the best yet but that soon changed when I tried this new carriage…smooth is not the word…it feels like the camera is riding on a pocket of air its a vast improvement on three weeks ago. I will let you see our documentary when its done, one last bit of techno info, all the pictures in this blog were produced by my latest Lumix camera the DMC-GM1 this is a cracking wee snap and grab camera. The camera has a micro 4/3 sensor with interchangeable Lumix lenses, all the pics were taken with the kit lens a 12-32 f3.5-5.6…it also has a very fast shutter allowing you to photograph children and dogs with ease…fantastic. My thanks to Scott for taking the behind the scenes pictures with the GM1 which I may add he had never used till I handed it to him that morning. 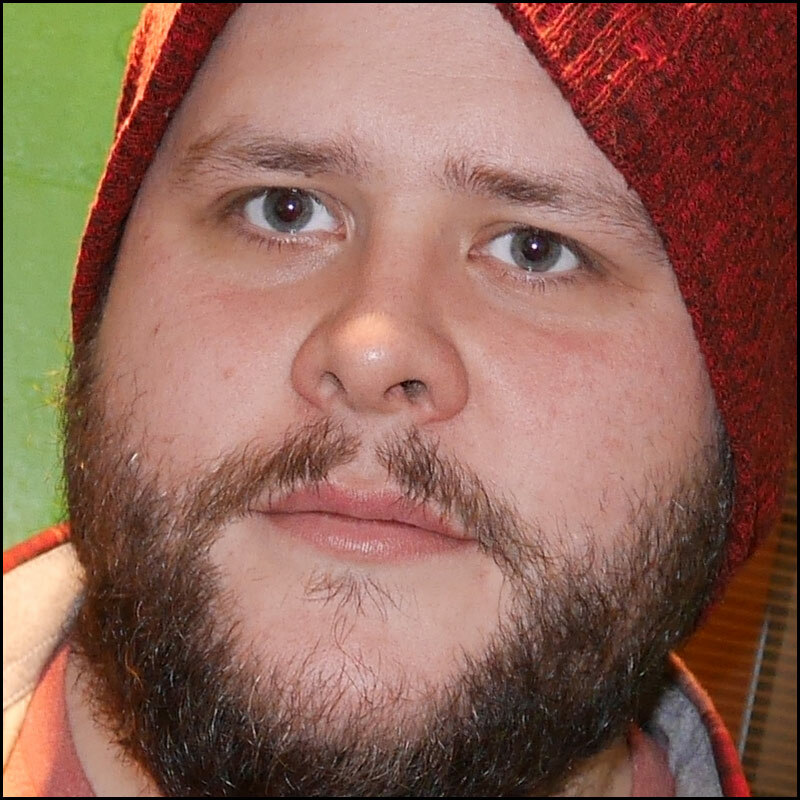 Just to let you see the quality of the picture from the Lumix GM1…the pic above is a 100% enlargement. I like the idea of having my main card readers on in the one place, especially USB 3 as the latest iMac’s utilise USB 3. Nothing worse than waiting any more time than necessary when your ingesting footage. 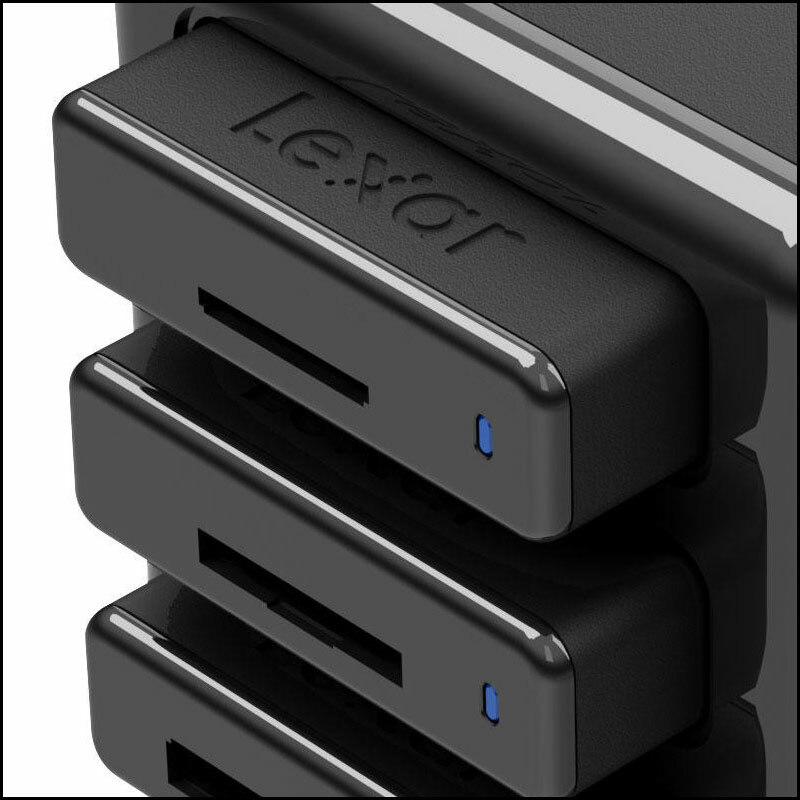 The Lexar 4 slot in drive hub seem’s to me to be a good way of future proofing your card reader, the addition of CFast will make life a lot easier and Lexar already have plans to have a CFast slot in drive. Having bought this unit last week at Calumet I was a tad disappointed to find the drives don’t actually come identified with the name of the media the drive takes which will make CFast a tad difficult to identify as CF and CFast are almost the same size. After hooking the drives up in their slots I switched on my iMac to discover it was now taking 2-3 minutes to start up and as usual the culprit had to be the last new item I had installed…the Lexar hub. One thing that puzzled me was that the XQD drive lit up without any media in it but it was also double the price of the CF and SD card readers so something must be added to the XQD thats not on the other drives. On further investigation I re-started the iMac with the Lexar unit unplugged and back to the 7s start-up so the Lexar was the culprit…or was it. 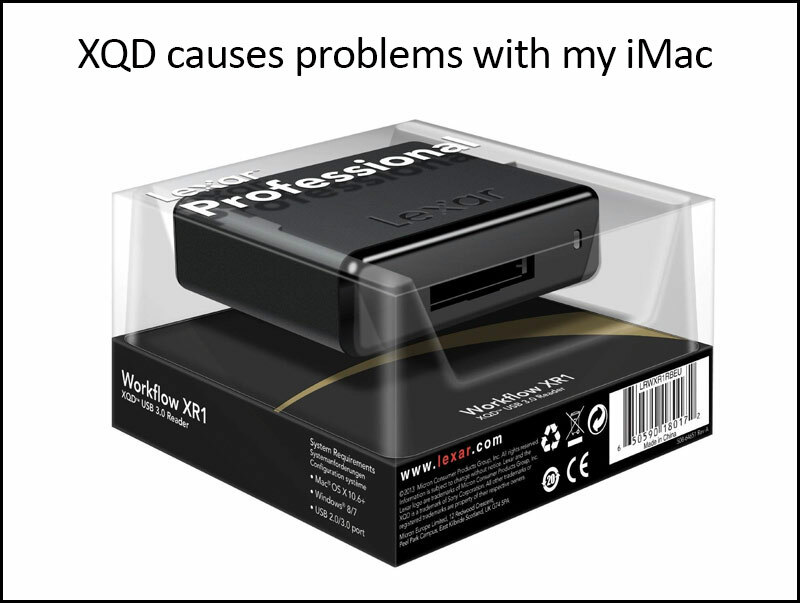 I decided to try the hub with the XQD removed and this time, success, the iMac was fine as long as the XQD card reader was out of the chain. Obviously I am not happy with this so decided to email Lexar and await their reply. 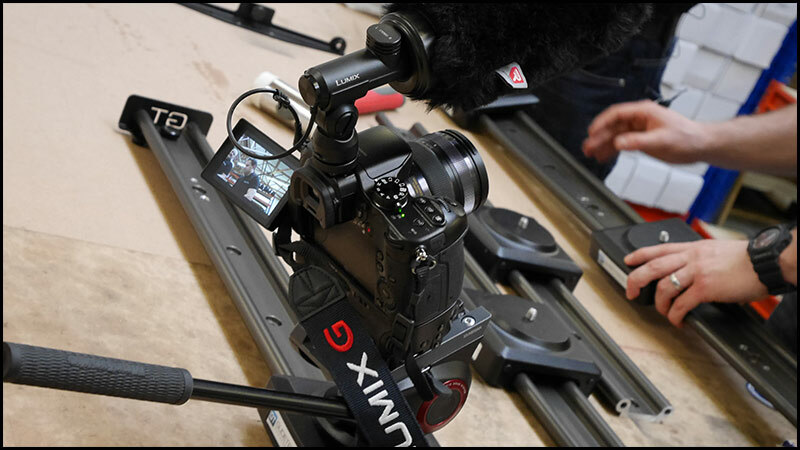 As we await the launch of the Lumix GH4 I put the GH3 through its paces this week in a small documentary about Alastair Brown more commonly known for Scotland’s exporter of the famous Glidetrack slider. Having played with the new smoother carriage I can vouch that it’s the smoothest yet and a lot quieter, Manfrotto supply 2 new tripod heads suitable for this carriage the MVH 502AH for bigger camcorders like the new Sony HXR-NX3 or the smaller MVH 500AH as used with the Sony HXR-NX30 or the Panasonic GH3. 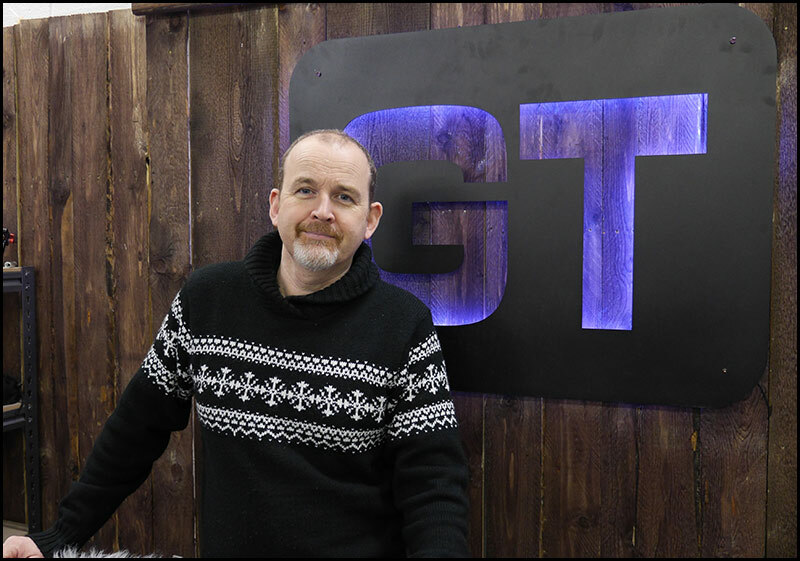 Alastair started with an idea from his wedding days and has built his company up to the successful flourishing industrial unit in Hillington we see today just outside Glasgow. This years Oscar nominees tells a very different story, the burning question from Hollywood must be “Why no RED cameras”. This must be a first when every film nominated for an Oscar all use their main camera from the same manufacturer…ARRI. Lets not kid ourselves ARRI have always been big in Hollywood, certainly in the film days but they have done a fabulous job with the Alexa to mention one of their most popular models. The other story is the move towards digital film making in general, you don’t need to be a member of Mensa to realise the vast savings in cost compared to 35mm film. 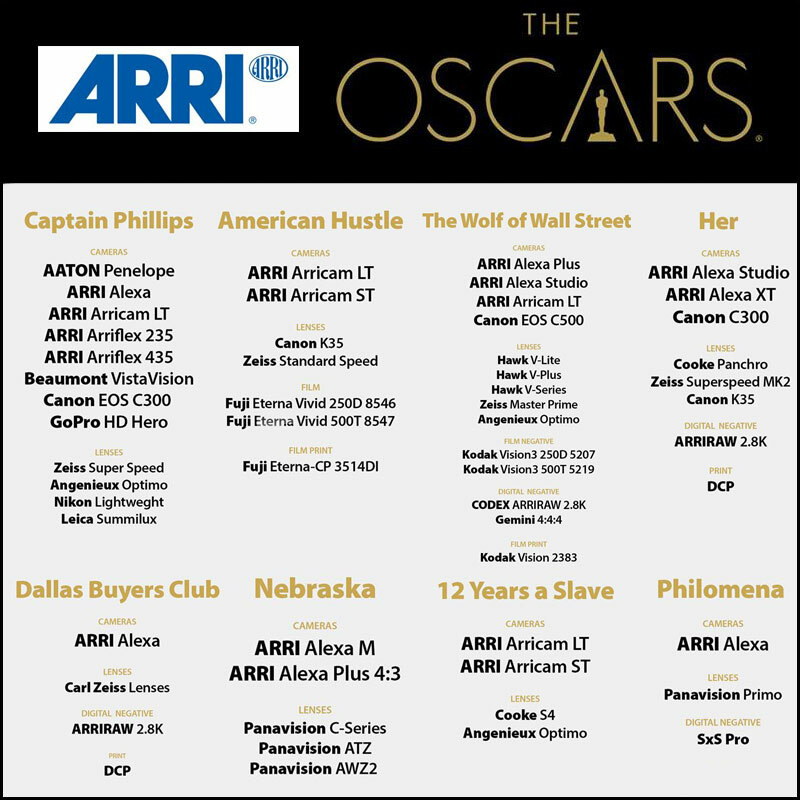 ARRI have certainly done their homework…to have 8 films nominated in this years Oscars and everyone using an ARRI as 1st camera takes some beating. Just in case someone wants to add to my birthday treats next month ARRI have a very nice watch for sale in their online store, it’s only €895 Euros. 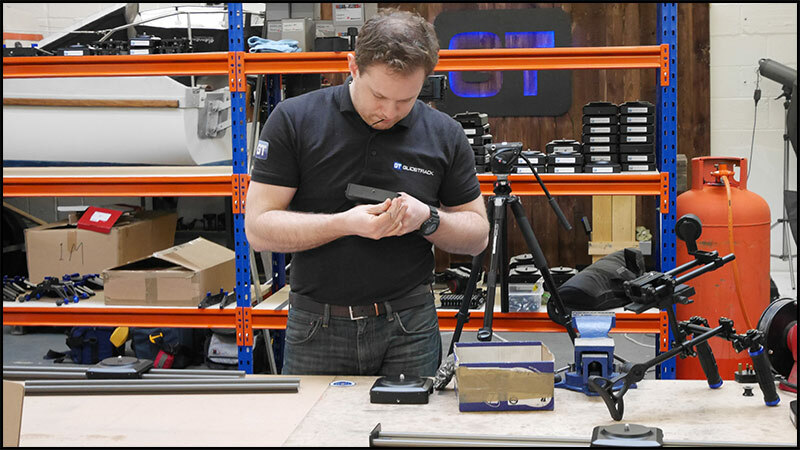 ARRI “There are countless wristwatches on the market catering to specialist technical fields such as aviation, diving, race-car driving and engineering, but none that are specifically designed for camera professionals. 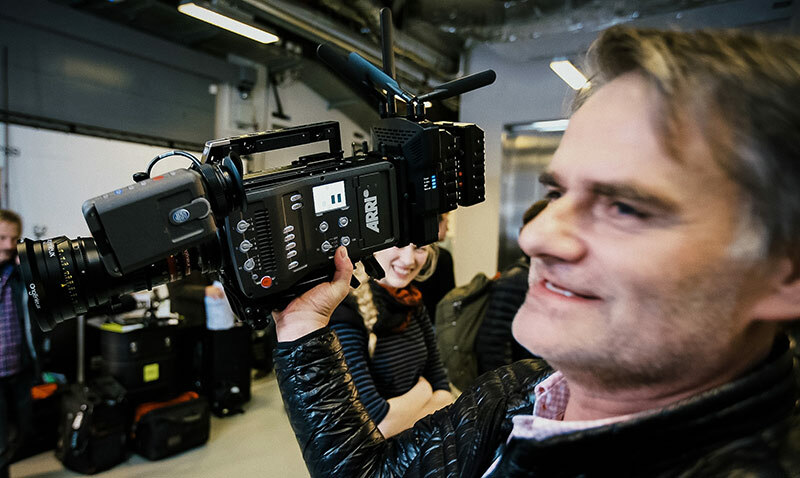 With this in mind, ARRI asked the well-known German cinematographer Tom Fährmann (Das Wunder von Bern, Die Päpstin) to conceptualize a watch that would meet the requirements of his own peer group. The result is truly impressive: the DoP*1. In thinking about the kind of timepiece a cinematographer might value, Fährmann was mindful of those all-too-frequent occasions on set when unforeseen circumstances mean the task at hand must be put on hold. For situations such as these, the DoP*1 features a special bezel timer – once set, the minute hand counts down the remaining time to zero, acting independently of the time of day. You can fix the timeframe at your disposal to carry out a second job while waiting to go back to the original task, checking at a glance whether or not the pre-set time is up. 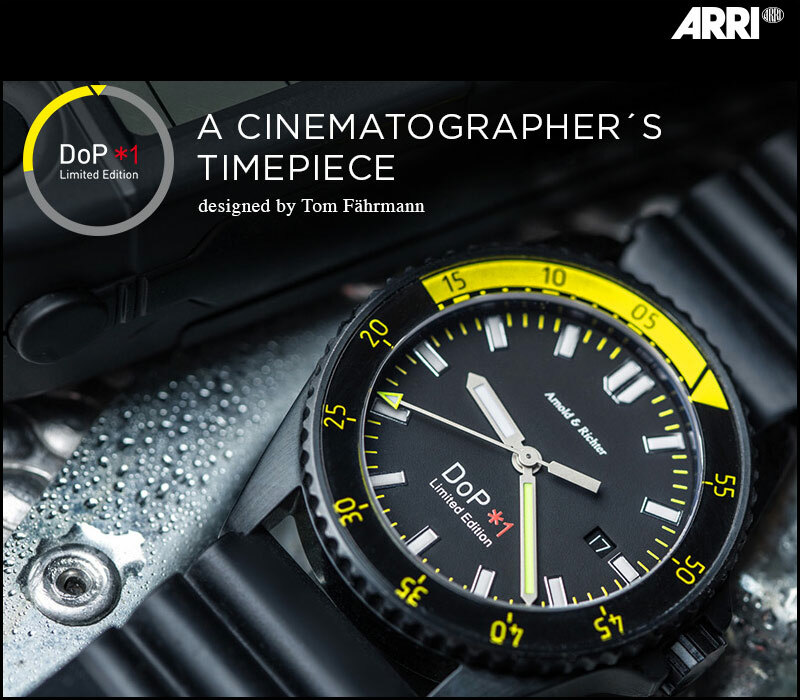 The DoP*1 is available in a unique, limited edition of 500 timepieces – exclusively from ARRI. Yesterday an incredible bench was unveiled at CVP Midlands in memory of the company’s co-founder Phil Baxter. It has been hand crafted by the artist Ray Lonsdale of Two Red Rubber Things, following the commission of Phil’s wife, Alison Baxter. 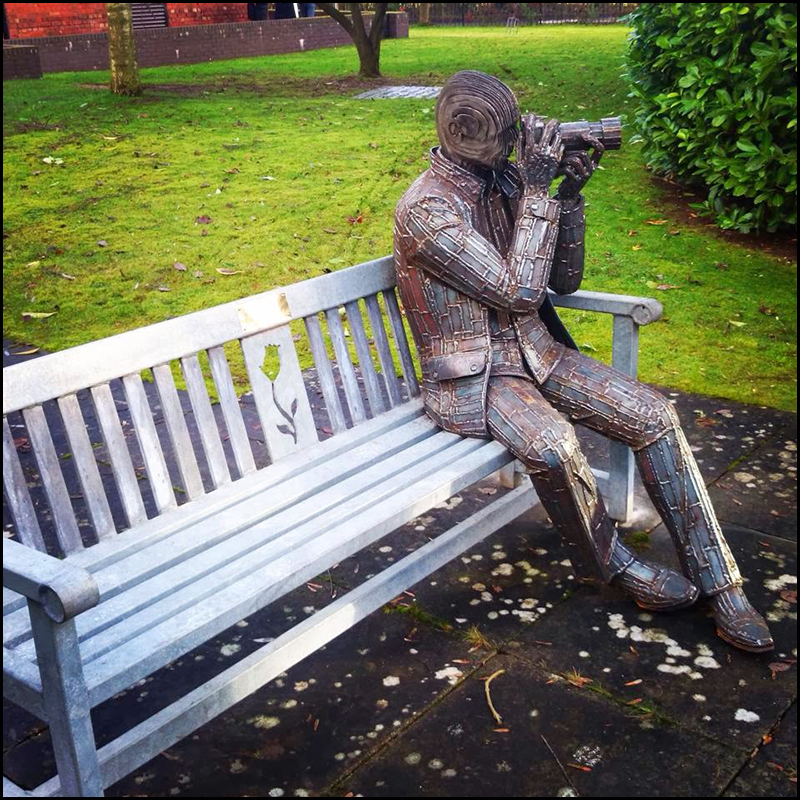 Feel free to visit the bench when you are at our CVP Midlands branch, there’s something special inside the head of the sculpture..
My one and only picture with the late Phil Baxter, a giant in professional video retail, Phil was straight talking, no messing about and did not tolerate fools gladly. His number one priority was his family and his business. 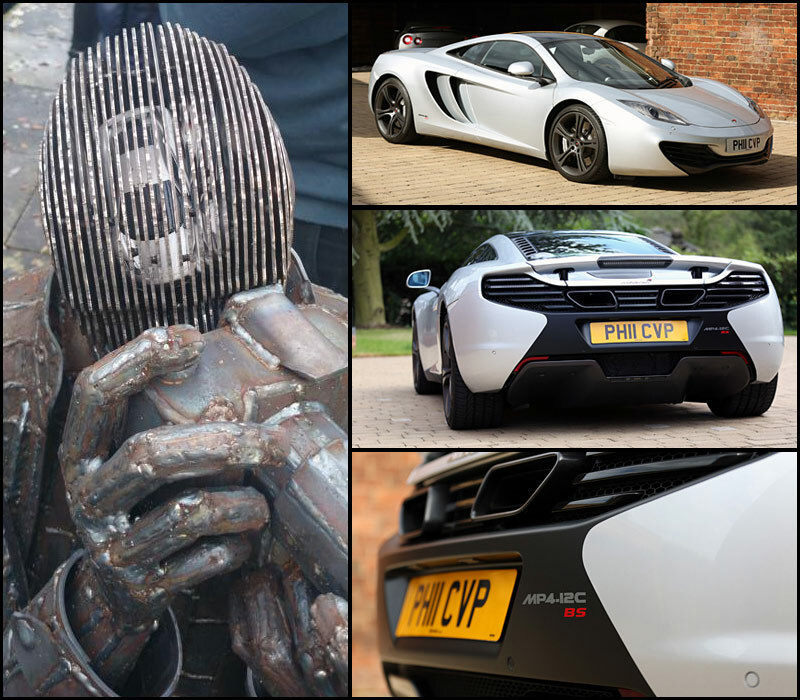 Phil also liked fast cars and embedded inside the statues head is a replica of his own car a McLaren MP4-12C BS Edition a fitting tribute to a great man. 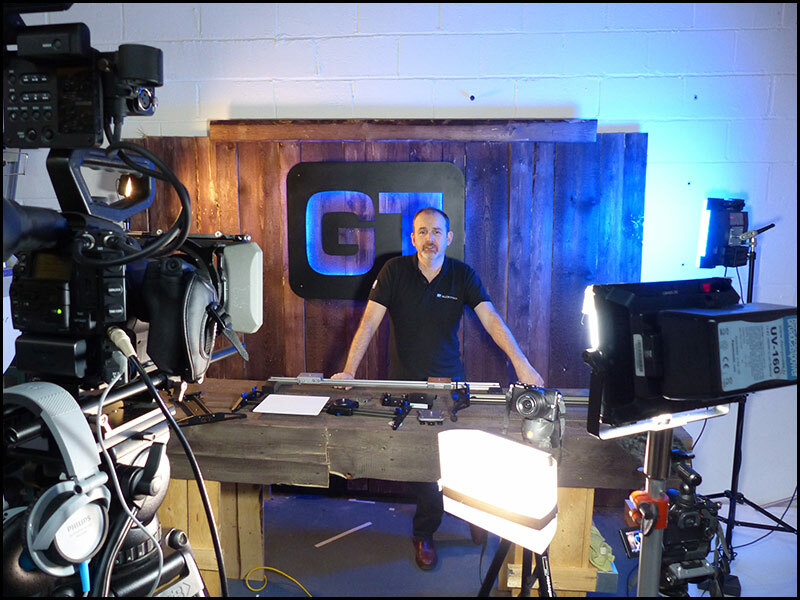 This year I am giving space to my advertisers, the first being Production Gear who sell a fantastic range of accessories including Canon and BlackMagic. 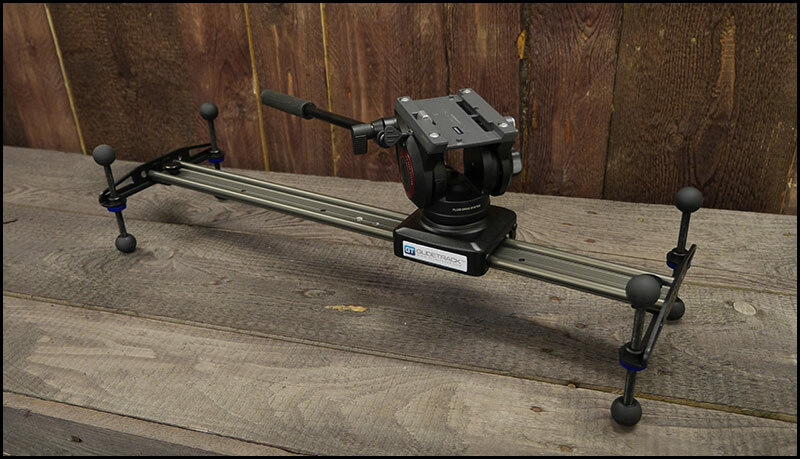 This is a stabiliser called BeSteady and not only looks the business but comes in at a far more reasonable cost against it’s competitors. 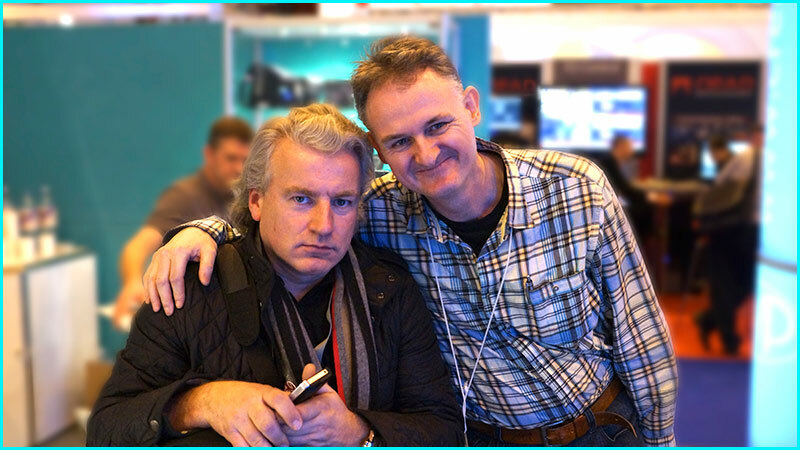 Update : Simon from Production Gear is hoping to have a production model of the BeSteady at their stand at BVE 2014. 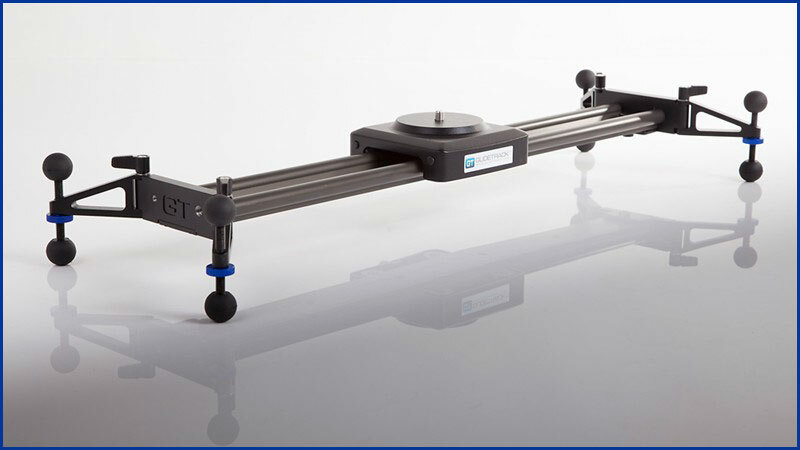 The BeSteady One ‘BASIC’ is our advanced 3-Axis, digital stabiliser. Lightweight, durable and responsive. 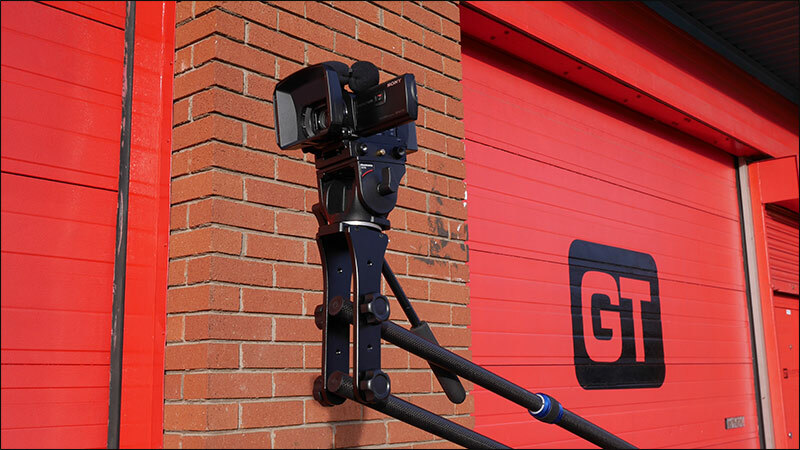 It’s design combines cutting edge, custom electronics and an ultra rigid frame design to create a high performance gimbal capable of incredible stabilisation. Even in the most demanding scenarios. This is showcased in some pretty awesome operating modes including ‘follow mode’ for single operators (or mixed use), ‘inverted mode’ for creative mounting possibilities and a ‘remote mode’ for remote operation. 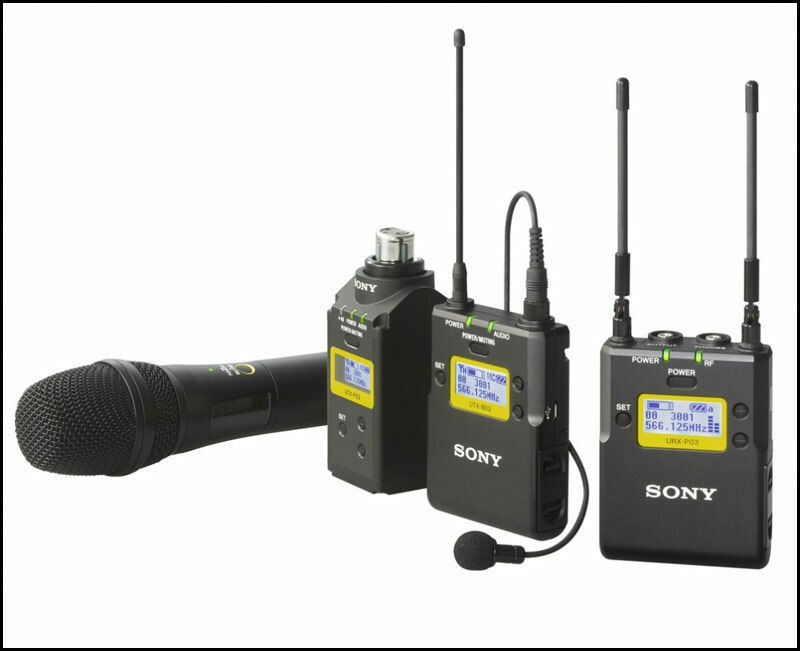 The UWP-D11 belt-pack wireless microphone package with Sony Hybrid Digital Processing (HDP) offers the sound quality of digital audio processing combined with the reliability of analogue FM modulation. The package includes the UTX-B03 belt-pack transmitter and URX-P03 portable receiver. 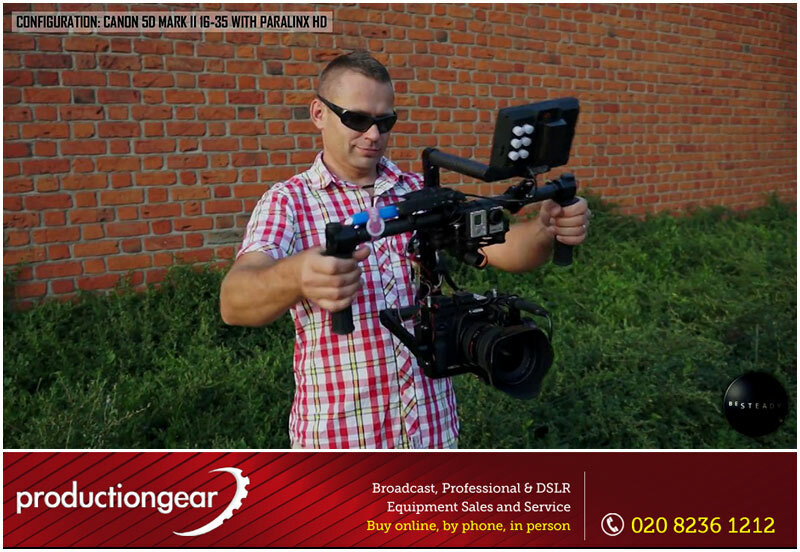 Also included is a high quality omni-directional lavalier microphone and a range of accessories including windscreen, microphone holder clip, belt-clip and shoe-mount adaptor. The UWP-D11 package offers wide frequency coverage with up to 72 MHz bandwidth* across a wide range of channels, with a choice of four models to choose from. 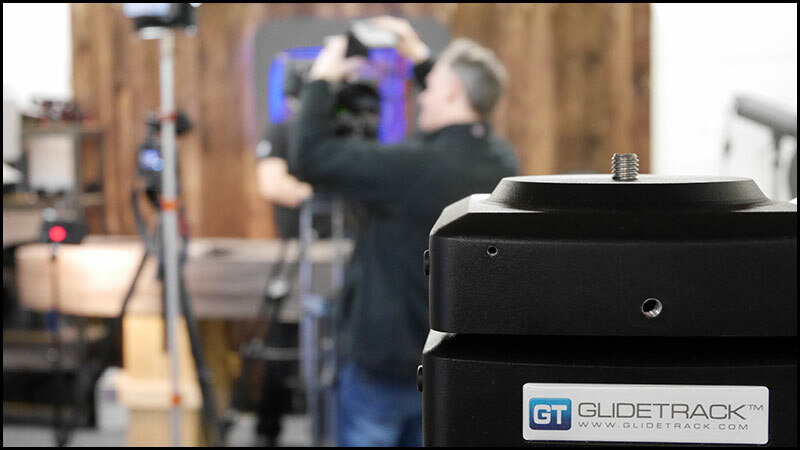 Easy-to-use features include a large display and small size receiver to fit neatly on any size camcorder or DSLR camera, automatic channel setting function, headphone output, USB connection for power supply and line input availability. The UWP-D Series system provides superb transient response performance for all ENG / EFP production applications. 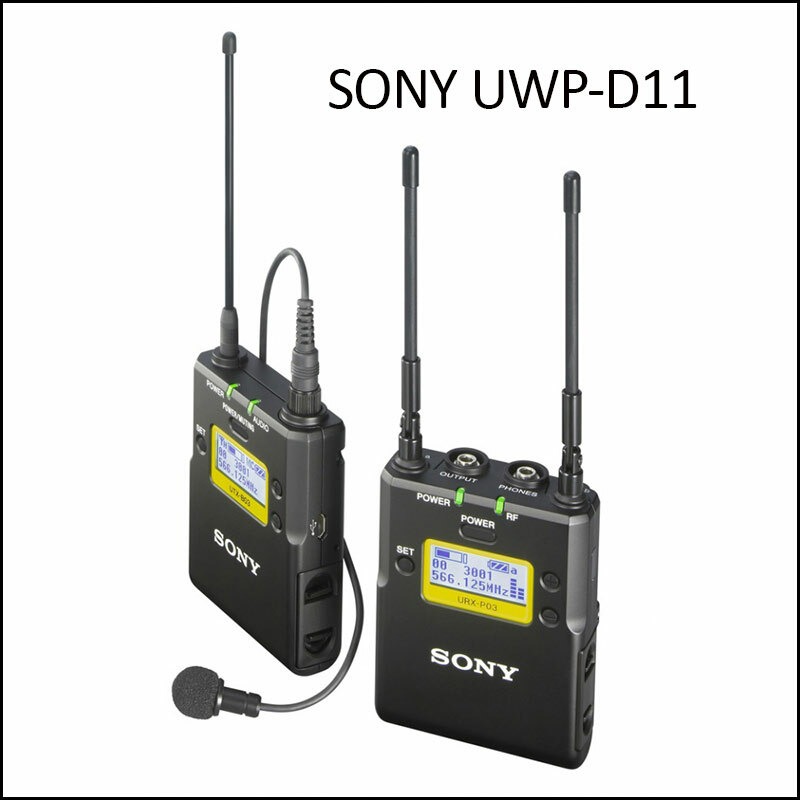 * UWP-D11/K42 operates at 56 MHz bandwidth. The extra wide switching bandwidth covers a wide area, with a wide choice of channels available across four models (UWP-D11/K21, UWP-D11/K33, UWP-D11/K42 and UWP-D11/K51).